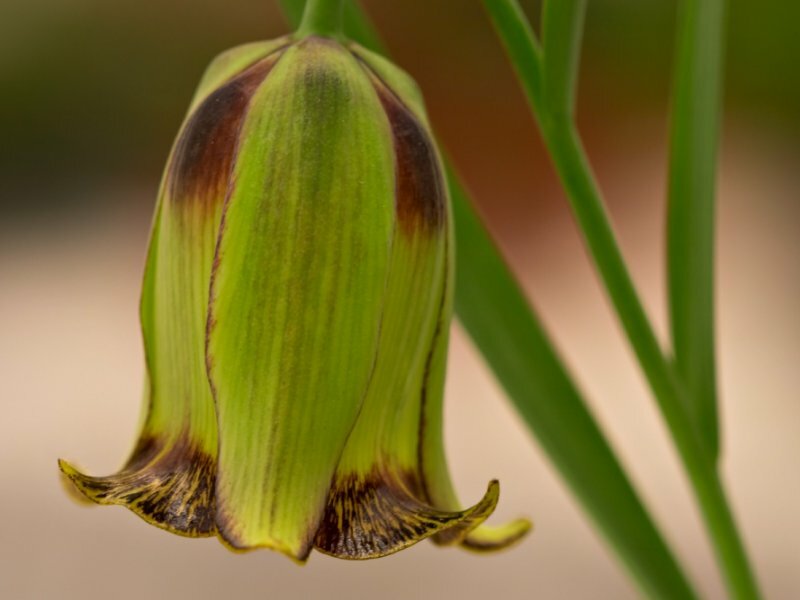 Scientific Name(s): Fritillaria acmopetala Boiss. Another image from the Alpine Garden Club of BC‘s annual show last Sunday. I neglected to write down the grower of this plant, so if anyone knows whose plant it was, please comment. what a beautiful picture. the details are just enchanting on this small little frittilaria. while looking at it i thought i saw a little pixie come along, pop underneath the blossom. she had such a big smile on her face, that her pixie friend quickly shimmied up the stalk and snipped the stem. then it was off to the annual pixie summer fair and dance they went. yes, i think this little flower is quite fanciful.